If you’ve been reading my newsletter and following me on Instagram, you know that I’ve undertaken a new big/small project, transforming a tiny 200 ft2 rental studio apartment into what I call a “nimble” home: a home that reflects the unique personality of its occupant, that easily adapts to change and has everything needed: a place for sleeping, hanging out and relaxing with friends, cooking, eating and working. One of the main requirements for the design of this home was to have a sofa for relaxing and to also have a queen sized bed for sleeping. 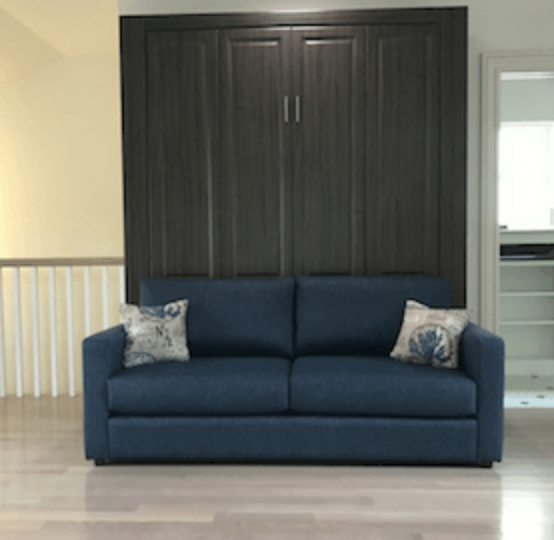 Given the size of the main living area, a mere 144 ft2, and the standard 8 ft ceiling, it quickly became apparent that a sofa Murphy bed like this one was the best solution for the space. 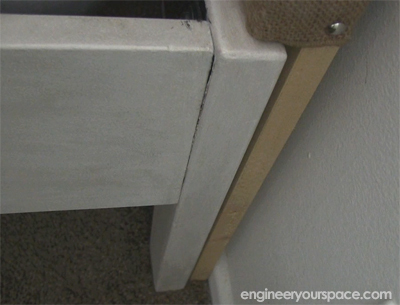 Build the cabinet from scratch and make your own lifting mechanism/hardware. 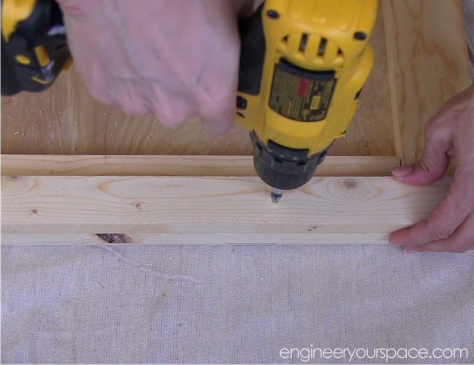 Build the cabinet from scratch and use a Murphy bed hardware kit. 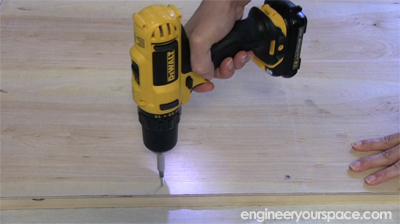 Assemble a pre-cut cabinet and use a Murphy bed hardware kit. It also allowed for customization of the look of the cabinet. 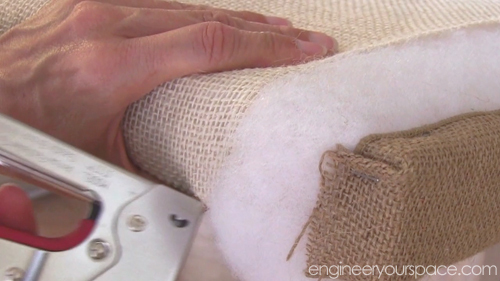 Buying a hardware kit would save time on having to figure out a design, getting parts, etc.. 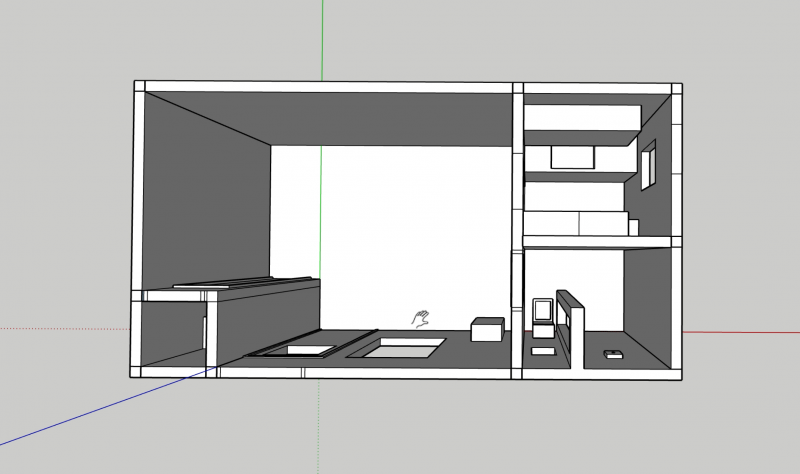 Since this Murphy bed would need to be dismantled in order to be moved, options 1 and 2 didn’t make sense because the cabinet would be one solid piece of furniture. I also have limited tools to work with, and no workshop, so I wanted to keep things as simple as possible, which was option 3. After looking at all the available options out there for hardware kits, I chose this DIY panel bed Murphy bed hardware kit from murphybeddepot.com – I liked that it came with the cabinet design already laid out, including a cut list of all the components, and that there was the option of buying the hardware kit that included all the brackets and screws needed to assemble the cabinet. 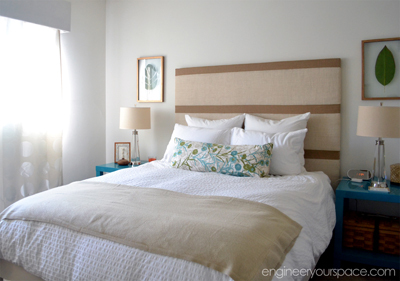 The cost for the Murphy bed hardware and the hardware kit to put together the cabinet is $435 (excluding taxes) and since this option involves building a cabinet, 3 sheets of plywood were also needed for that (around $150 for premium birch plywood). There’s lots of other supplies and tools involved but more on that later. Turns out that every step breaks down into many smaller steps, each with its own set of considerations and challenges. Take step 1 for example. 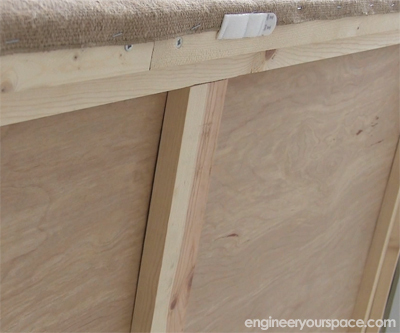 It sounds simple enough, but this took way longer than expected and involved some creative solutions to work around not having a workshop, having limited tools and building in a tiny space. It’s challenging but it is totally doable as you’ll see! 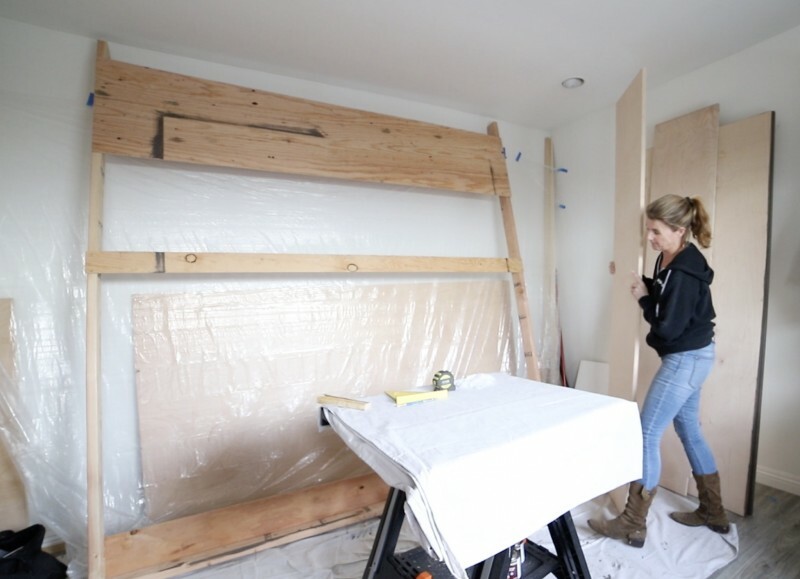 So if you’re thinking of building your own Murphy bed or are just curious as to what’s involved in a project like this, subscribe to my newsletter here so you don’t miss any of the posts in this “Building a Murphy bed series”. 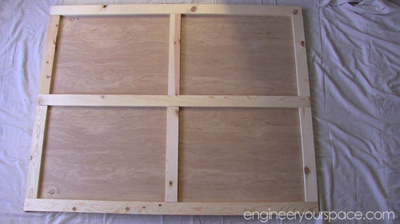 The next post will be all about step 1: preparing the wood components for the cabinet – stay tuned! 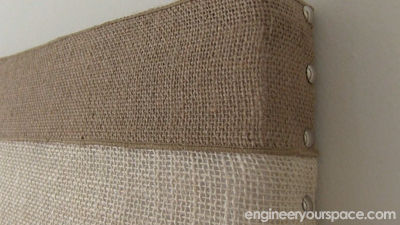 If you’ve been following me for a while, you know how much I dislike vertical blind and how I’m always looking for ways to get rid of them or camouflage them. 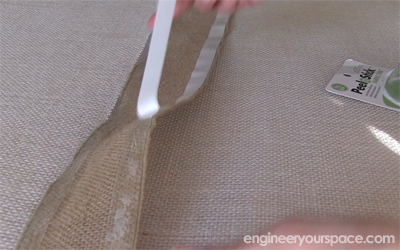 However when you live in a rental apartment or in a condo where you’re not allowed to remove them, it can get a bit tricky, especially if you can’t drill holes in the walls to hang a curtain rod. So when I came across these nono brackets on Amazon, I had to give them a try. 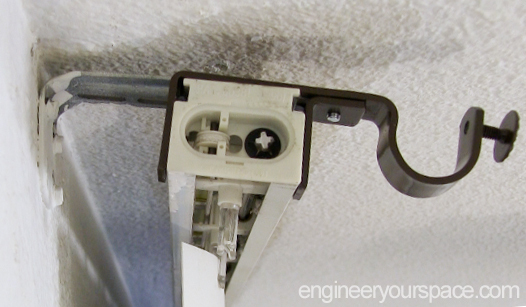 The brackets slide onto the existing vertical blind track, so if you have a plastic valance that covers the track, you will need to take that off first. Then you slide the brackets onto the track, adjust the bottom piece so it fits tightly against the track and then you tighten the screw on top. Since this particular track is very close to the ceiling, I ended up using an offset screwdriver to do this. 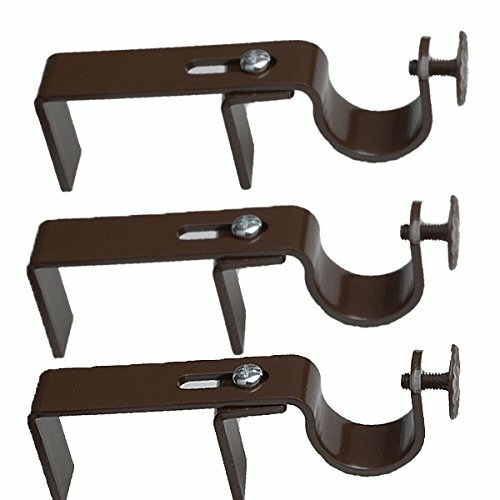 The curtain rod is then placed on the brackets. 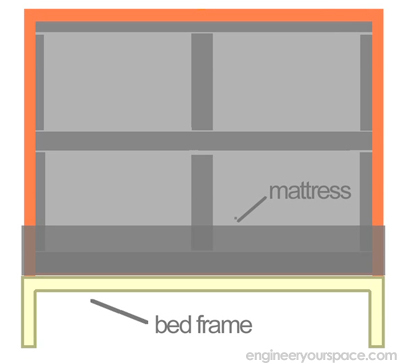 It’s that simple and there’s no need to make any holes in the walls! 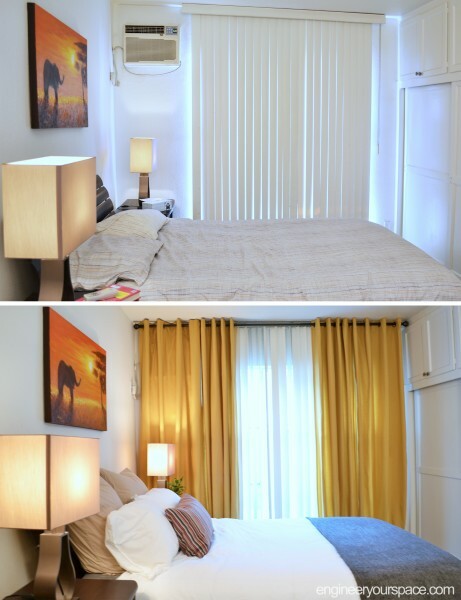 The curtain rod held up well without a third bracket in the middle but I used very light weight curtains so if you’re planning on hanging heavy drapes, I would definitely recommend using 3 nono brackets. 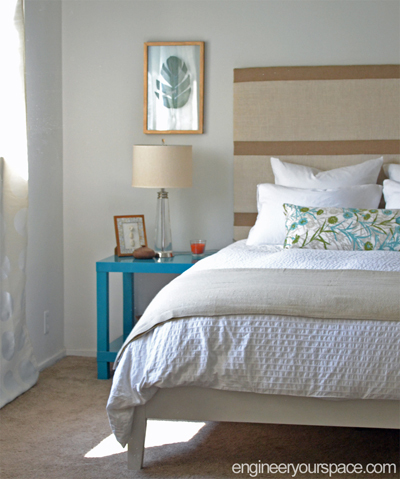 Hanging curtains completely transformed the look of this bedroom, and it literally took just a few minutes. Plus hanging the curtains had the added bonus of hiding the A/C unit when not being used and brining in lots of color in an otherwise very white and boring room. 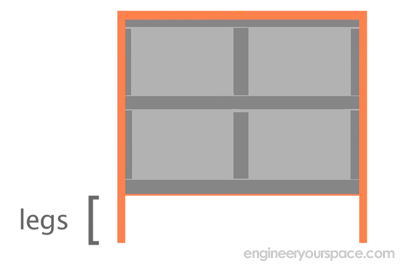 Hope this was helpful and I’m looking forward to seeing your window transformations!